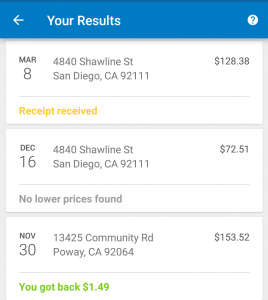 All PostsHow ToLife HacksProduct ReviewHome / All Posts / Walmart Savings Catcher: What Is It and How Do I Use It? 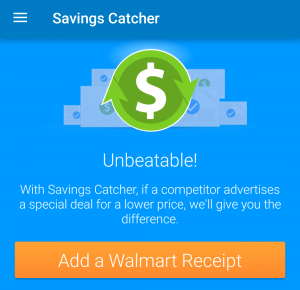 What is Walmart Savings Catcher and How Do I Use It? 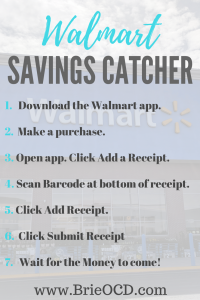 Everyone has heard of the retail giant Walmart but how many of you have heard of the Walmart Savings Catcher? If you are saying WHAAAAAAT?, today is your lucky day!!! 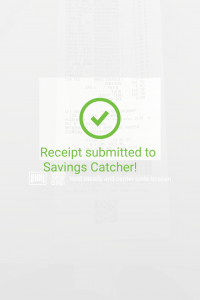 Walmart Savings Catcher is basically this… You buy a product at WM. If any other local competitor offers that same product at a lower price, you get back the difference! So you are catching savings for essentially doing nothing. Sounds good, right? Well, it is! 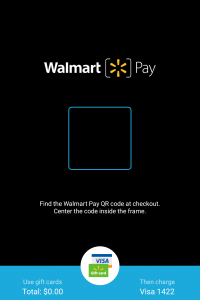 See below for the step by step process on how to sign up and start saving at Walmart. If you still need more info, here are some FAQ’s regarding the program straight from the Giant’s mouth. Sometimes you save and sometimes you don’t BUT it definitely doesn’t cost you anything to try! Friendly reminder that the items have to be name brand. 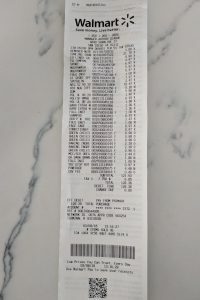 If you tend to buy a lot of Walmart brand items (Equate) then you won’t save as much because they can’t compare those items with other competitors. That being said I tend to buy a lot of WM branded products because they are cheaper. Straight making money!!! 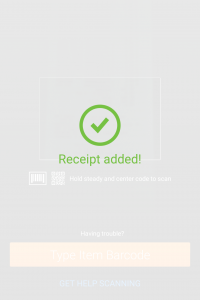 If you have earned money back, you will be notified through the app and email. 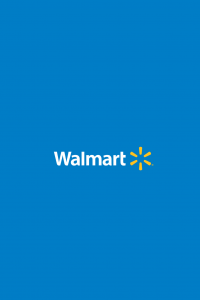 To redeem the money you can either request an eGift Card or use Walmart pay. 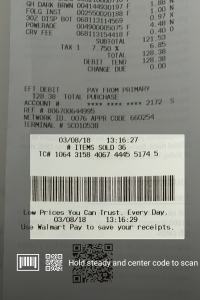 Walmart pay is super easy. You just open that feature in the app. When you are checking out with the cashier you just scan the retail monitor with your phone and it deducts the money you earned from your current bill. Another cool feature of the app is that the items you purchase are stored. So if you need to reference what you bought (because you liked it or not) you can easily look it up! Step 7: Wait for the money to come! I hope this article was helpful and saves you some money next time you head to Walmart! Love this site, Brie. I’ m on my way to Weight Watchers now. I can’t seem to lose about 15 lbs. I blame my age, I blame Tamoxifen but down deep I know I snack too much, esp at nite. I love to eat while I read. Help me! Keep watching my Friday YouTube videos (you can subscribe for free) with meal prep ideas. I tell you what I am cooking for the upcoming week an supply the recipes!